The Green New Deal went down in a stunning defeat in the Senate last week, with zero senators voting for the bill. 57 voted against, including four left-leaning senators. Amidst this disaster, Massachusetts Senator Ed Markey, the Senate sponsor of the Green New Deal, is celebrating. 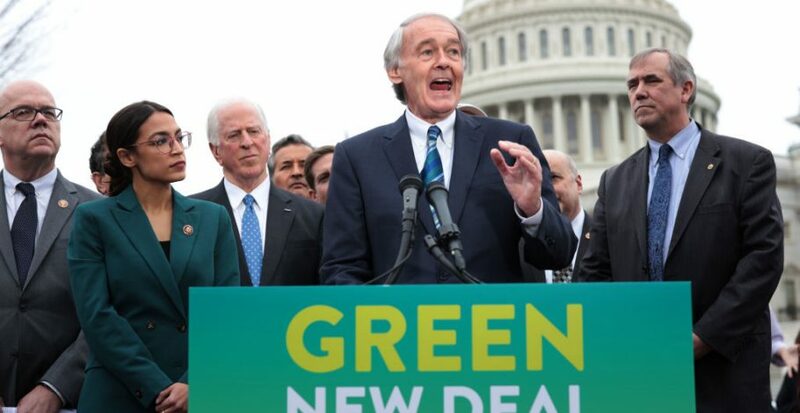 Speaking to the Boston Globe yesterday, Markey called the Green New Deal a “huge success so far” because people are talking about it. Perhaps Markey has a different definition of success. Usually, Senators judge success by whether they pass bills, not whether people are talking (and generally mocking) their proposal to bring socialism to America under the guise of environmentalism. To make matters worse for Rep. Alexandria Ocasio-Cortez and Ed Markey, more Democrats are coming out against their extreme ideas. “There’s no need to lie to voters right now,” he continued. If not getting a single vote for the Green New Deal is considered success, we can only imagine what failure would look like. We’d love to see it.